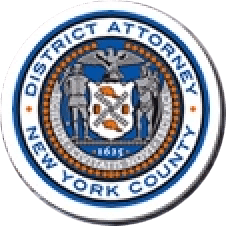 Manhattan District Attorney Cyrus R. Vance, Jr. today announced the sentencing of JAMES JACKSON, 30, to life in prison without the possibility of parole – the maximum sentence permitted under New York criminal law – for fatally stabbing 66-year-old Timothy Caughman in March 2017 in act of domestic terrorism. On January 23, 2019, JACKSON pleaded guilty in New York State Supreme Court to all of the counts in the indictment against him: Murder in the First Degree in Furtherance of an Act of Terrorism, Murder in the Second Degree as a Crime of Terrorism, Murder in the Second Degree as a Hate Crime, and Criminal Possession of a Weapon in the Fourth Degree. The defendant’s guilty plea marked the first-ever conviction in New York State for Murder in the First Degree in Furtherance of an Act of Terrorism, as well as Murder in the Second Degree as a Crime of Terrorism. “From the outset of this case, the People have rejected any resolution of this case that does not acknowledge the reality that James Jackson is a white supremacist and terrorist. This defendant has now pleaded guilty to all counts of the indictment against him, including terrorism. But the fact Mr. Jackson has pleaded guilty in no way mitigates the horror of his actions. The defendant will be sentenced to the maximum sentence provided by our laws – life without parole. That is a sentence reserved for crimes which by their definition seek to divide, terrorize, and undermine our way of life and central values – values of racial equality, and the peaceful coexistence of all New Yorkers. This sentence is mandatory under the defendant’s plea to Murder as a Crime of Terrorism, and we submit today that the conduct to which the defendant has admitted is worthy of no other sentence. The answer to that question – why are you doing this? – is why we indicted James Jackson for terrorism and why we are seeking the maximum sentence permitted under law. Why was Jackson doing this? By his own admission, he was doing this because he wanted to kill black men, planned to kill black men, and then did kill a black man, in – and I quote – “a declaration of total war on negroes.” So this isn’t a regular murder case. This isn’t a case where the defendant simply wanted to kill Mr. Caughman. And this isn’t merely a hate crimes case. It’s not a case where a defendant targeted a single victim on the basis of his race. By targeting Mr. Caughman, he was launching an attack against all African-Americans. Thus, this was also – as defined by our legislature and as admitted by the defendant – an act of domestic terrorism. It calls for the elimination of other racial and ethnic groups, as well, but states that “[n]egroes are obviously first on the list for extermination.” It concludes that “[t]here can be nothing but total war.” His manifesto closes with, quote: “Hail Victory! Sieg Heil,” and is signed “Sir James Harris Jackson,” with “Sir” being used to signal self-identification with like-minded white supremacists. The defendant’s hateful goal is shared by all white supremacists – the elimination of people who don’t look like them, who come from different cultures, and who worship in different religions. Jackson’s actions unfortunately show us that the white supremacy movement is alive in our country. American law enforcement has been slow to acknowledge the rise of and scope of white nationalism in our country today and this has emboldened actors like the defendant. We have too often treated these crimes as something less than other kinds of terrorism, and in so doing we have risked normalizing this type of behavior. The Court today has an opportunity to declare that violent white nationalism will not be ignored, minimized, or normalized in New York and that its perpetrators will be sentenced like the terrorists that they are. This defendant admitted to coming to New York City to engineer an all-out war between black and white New Yorkers that would be sparked by his killing of innocent black men. His internet search history demonstrated that he was inspired explicitly by the white nationalist terrorist who slaughtered a congregation of African-American churchgoers in South Carolina. Jackson targeted New York City because of its unmatched diversity, and because he believed that if he committed his terrorism here, in one of the world’s most prominent media capitals, his message of racial warfare would be maximally amplified, and other like-minded terrorists would take up their arms. But above all, he chose Manhattan as his hunting ground because it’s a place where people of different races, cultures, and religions choose to create lives together and love one another. These are the core values that he chose to attack. And it is this explicit and frontal assault on our values which makes this crime different – it’s what elevates this from an attack against one New Yorker, to an attack on us all. And it is nothing less than our core values that we are asking the Court to defend as it imposes its sentence in this case. Assistant D.A. Dafna Yoran, Senior Trial Counsel for Trial Bureau 70, and Assistant D.A.s Nicholas Penfold and Juan Abreu of Trial Bureau 80 handled the prosecution of this case under the supervision of Executive Assistant D.A. John Irwin, Chief of the Trial Division. Assistant D.A. Joan Illuzzi, Special Counsel to the D.A., Investigative Analyst Alyssa Marino, and Technology Analysts Henry Chapman and Sasha Hodson provided valuable assistance with the case. District Attorney Vance thanked New York City Police Commissioner James O’Neill, Chief of Detectives Dermot Shea, and the following members of NYPD for their assistance with the case: Detective Joseph Barbara of the Manhattan South Homicide Squad and Detectives Thomas Schick and Kenneth Baker of the Midtown South Detective Squad.